During May’s month-long observance of Hepatitis Awareness Month on May 15. NHHAD is an annual event organized by the Latino Commission on AIDS to raise awareness of viral hepatitis and encourage testing, diagnosis, and linkage to care. We invite you to learn more about viral hepatitis among Hispanics and take action. Earlier this year, researchers published a study on hepatitis C prevalence among Hispanic/Latino adults in the United States using data from the National Health and Nutrition Examination Survey (NHANES) and the Hispanic Community Health Study/Study of Latinos (HCHS/SOL). They found that the prevalence of hepatitis C among adult Hispanics/Latinos varied by background with Puerto Ricans having the highest prevalence, those with a South American background having the lowest prevalence, and those of Central American, Cuban, Dominican, and Mexican backgrounds having intermediate HCV prevalence rates. On average, HCV prevalence rates for all Hispanic/Latinos was 1.5% in the NHANES study and 2.0% in the HCHS/SOL study. Mark Kuniholm, Ph.D., lead author of the study and assistant professor of epidemiology and population health at Albert Einstein College of Medicine noted, "Clearly, our findings strongly support the need for community-based campaigns to increase testing and treatment in the Hispanic population,"
The Centers for Disease Control and Prevention has developed many resources for use in education and outreach activities during Hepatitis Awareness Month There is a calendar to help you find testing events and patient education materials available in English and Spanish. As you prepare for NHHAD and for other outreach to the Hispanic community, a newly archived webinar on Hispanics and Viral Hepatitis is now available from the U.S. Department of Health and Human Services. In commemoration of National Hispanic Heritage Month last fall, Assistant Secretary for Health, Dr. Howard Koh opened the webinar, which was produced as a collaboration between the National Vaccine Program Office, Office of Minority Health, Office of Women’s Health, and the Office of HIV/AIDS and Infectious Disease Policy. Dr. Koh called participants to action to raise awareness about viral hepatitis, implement screening recommendations for hepatitis C, and make a difference for millions of people. Webinar presenters shared strategies to raise awareness about viral hepatitis among Hispanics/Latinos; the benefits of prevention, testing, greater education about viral hepatitis in the Hispanic/Latino community; and brought attention to related health issues, such as HIV co-infection, diabetes, obesity, and behavioral health issues, such as substance use/abuse. The webinar is an example of activities undertaken to advance the goals of the Action Plan for the Prevention, Care and Treatment of Viral Hepatitis. Developed with input from a host of participating federal departments, agencies, and offices as well as many nonfederal stakeholders the recently released updated Action Plan highlights strategic actions that federal and non-federal partners can take to combat viral hepatitis. Now is a critical time to act on opportunities to combat viral hepatitis. We urge you to share these information resources with colleagues, family, healthcare providers, and community leaders. 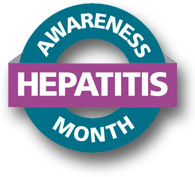 By raising awareness about viral hepatitis among Hispanic/Latino communities—and all communities who are living with undiagnosed, untreated disease—we can save the lives of hundreds of thousands of individuals.